Neville Metcalfe was the padre for the 7th Hussars for four and a half years during World War 2. He worked tirelessly in Burma tending the wounded and dying whilst wounded himself. He was awarded the DSO. 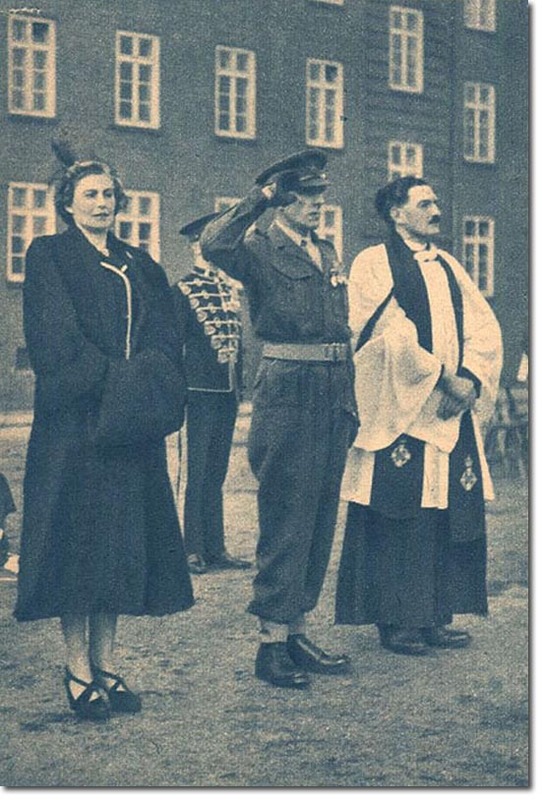 He is seen here at a dedication ceremony for a War Memorial at Luneburg c1950 while the regiment were stationed in Germany. He stands next to the Commanding Officer Lieutenant-Colonel W Rankin and on the left is the widow of Lieutenant-Colonel Freddie Byass who was killed leading the 7th Hussars at Sidi Rezegh.